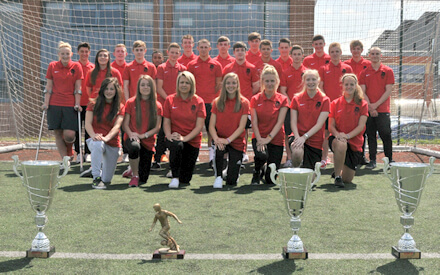 Barnsley College’s Sports Academy has secured a double success at a prestigious international football competition. Teams from the college won both the under-19 male and the female open age categories at the Komm Mit International Whitsuntide Tournament in Barcelona, Spain. The college’s male teams overcame teams from across Europe to meet each other in an all-Barnsley final. It took a fantastic second-half goal from George Johnson to separate them and secure victory for Team One in front of over 2,000 people at the Pineda De Mar Stadium. Jack Ripley’s five goals ensured he was the top goalscorer in the male under-19 section of the tournament. The female team retained their grip on the trophy after defeating SV Nollingen of Germany in a penalty shoot-out, with Leah White converting the winning spot kick. The success cemented a second successive double for the female team who have won both the Association of Colleges (AoC) Yorkshire and Humber League and the Komm Mitt tournament in past two years. 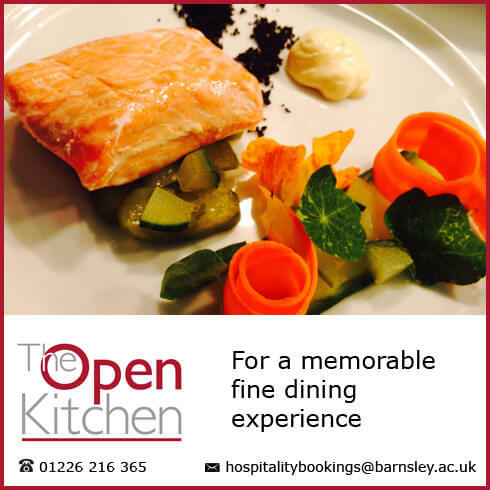 It’s not too late to apply for a course at Barnsley College’s Sports Academy, call 01226 216 123 for more information.